In recent years we've partnered with brands who approached us to redesign their uniforms. This has led us to deepen a co-design process that we had started using and take it to a whole new level. We've found co-designing to be the most inclusive way of making sure all the people involved have a say in what they want and need from the final product, from senior, through middle management to the wider work-force. We begin by assuming that everyone is an expert at what they do day-in-day-out and that every person's point of view is valid. The real challenge lies in bringing together all the requirements and ideas to become one solution that benefits and pleases the majority (including special options for minorities), which can be tricky at times! The fun part is getting to know the people in each different company and working with everyone to make sure we end up with a product that is fit for purpose. We start by listening to what the wearers feel about their existing uniform,,what they dislike and what they do like. It was at this stage, in a recent project, that a completely new garment was created. At one of the engagement sessions with Transport for London, a staff member said "I really like the idea of wearing a Harrington jacket”, another said “I love the comfort of the fleece. Why can't we have a jacket that combines both?" We couldn't think of a reason why and light heartedly came up with a hybrid concept “The Fleecington”. 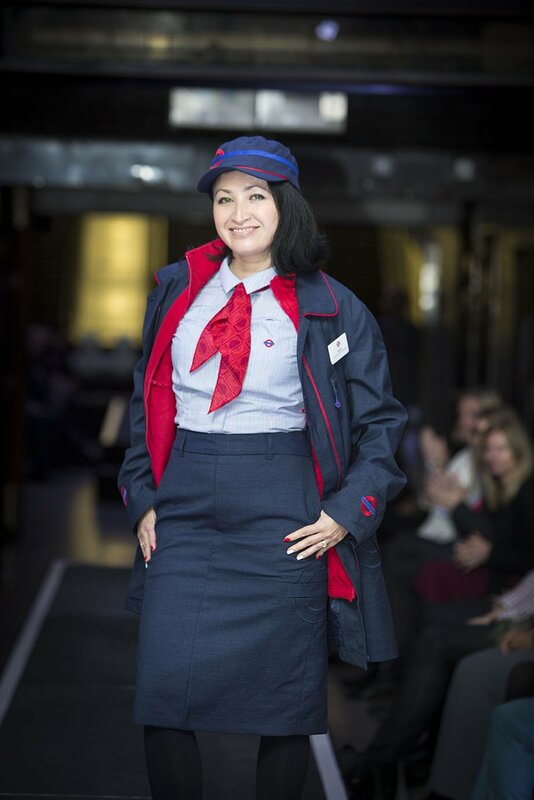 Two years on The Fleecington is the most popular item in the new London Underground uniform. We then work with the management teams to choose enthusiastic staff members who become the models and faces that we work with throughout the project, becoming ambassadors for the uniform. It makes sense on so many levels to use members of the brands workforce as” models” and designing for the actual end user, by selecting a diverse team of “models”. We work with staff to figure out what their core needs are so we can develop materials and garments that perform to the highest standard. All this whilst designing each item to be durable and also stylish as we believe it's a priority for staff to look and feel great when they come into work every day. There are several stages of iteration where we present concepts and gather/analyse feedback. These can be anything from group engagement sessions, paper and online questionnaires/surveys plus both group and individual Q&A sessions. When the designing process is in full swing there are daily intranet posts on concept design, questions, films and photos. It’s basically designing and engaging with the future users in real time. With Transport for London this resulted in over 80% of the workforce commenting on the work in progress (and you have to be thick skinned and bite your lip at times!) By doing it this way, everyone gets a chance to say if there's anything we've missed out or that hasn't come up before and might actually be an important thing to address. With Virgin Rail we went big, no stone was left unturned! There were engagement sessions held at all relevant sites which meant that again every single member of staff could have their say. After each stage of engagement we go back and do any necessary amendments and repeat the process a few times as we develop the project from concept through to initial samples and final product. We believe that this is the largest co-design process ever undertaken in the uniform industry and one of the largest across all industries and we have learnt a lot and are we certainly developed a bug for co-design. Going through this process it has been a real joy seeing often cynical members of a workforce feeling empowered and contributing positively to a product that features in their daily working lives. 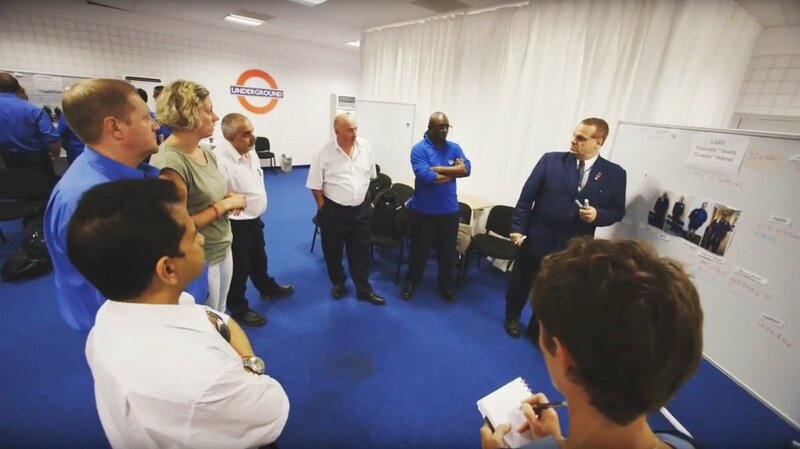 As the London Underground uniform rolls out across the TFL community, travelling on the tube this last few weeks and getting such positive feedback it has hit home how truly worthwhile it has been going through challenges, the extra hours we have all needed to put in and the inevitable compromises that we have had to make as designers. Everyone has ideas and co-design is a way for designers to help the end user express their thoughts and needs from a product that they will be using. It can add time to a process, you do have to get out from behind your desk but it can help you get right to the crux of the needs of the end user. Our experience is that it brings fun, cohesion, innovation, pride and great products to a project. We will be bringing co design to many more design disciplines that HemingwayDesign work in.